13.5%. Bright yellow gold. The label’s claims are quite florid: Aromas of jasmine, lemon meringue, and a whisper of oak draw you in and are followed on the palate by fleshy, ripe citrus and a hint of peach. Meshed together, and drawn out to a long finish by a fine minerality and a pleasing creaminess. In my opinion: simple, and somewhat fat. You couldn’t get much more oak in it if you’d nailed a plank to the side of the glass. More of a shout that a whisper. And it’s very bold on the malo. If I’d wanted as much dairy character I’d drink yoghurt. And I didn’t see as much minerality as was claimed. I don’t know how Wine Orbit scored this 93 points. But anyway, I’m thirsty, and it shows pleasing apricots and some tannins and it’s ok to drink. 3. It also looked much better the following day with some of the bolder notes rubbed out by in-bottle exposure to more air. 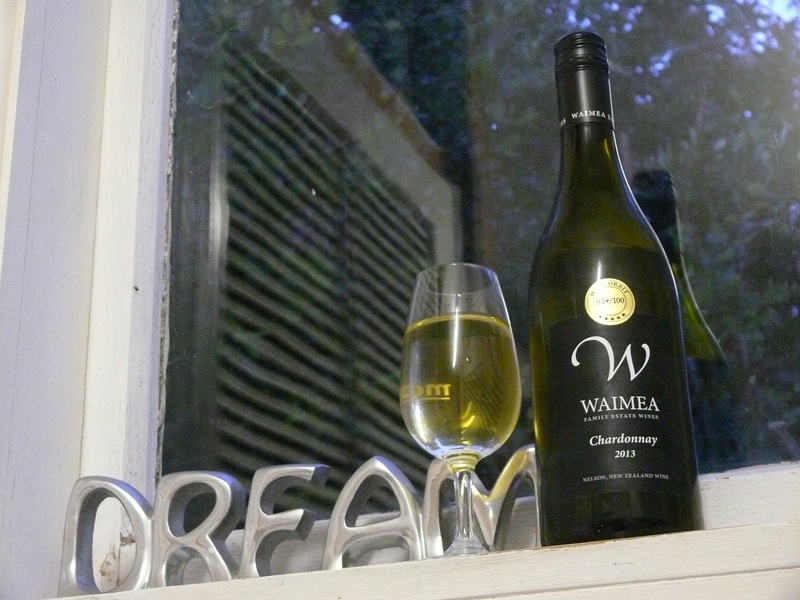 This entry was tagged $, 13.5%, 2013, 3, Chardonnay, Nelson, Waimea estate, Wine of New Zealand. Bookmark the permalink.